Warm! Liquid! Lush! All words that accurately describe the V2 Series H2O from Truetone. 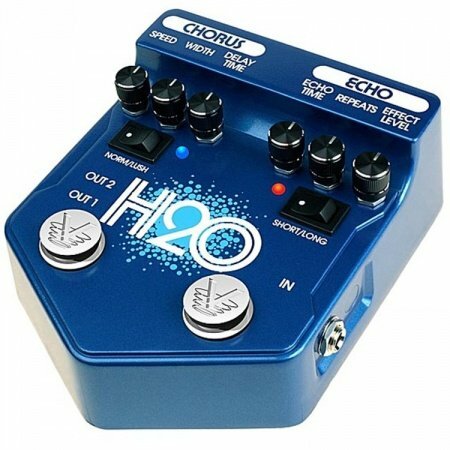 The H2O gives all the same great tones guitarists have come to love over the years. Whether it’s Chorus, Echo, or both… use each channel by itself, or combine them both just as you would two separate pedals! The Chorus channel is a wonderfully voiced effect for electric, acoustic, or bass guitar, using pure analog circuitry. Use the Norm/Lush switch to set the overall style of Chorus and drift away on the H2O’s incredibly rich chorus. 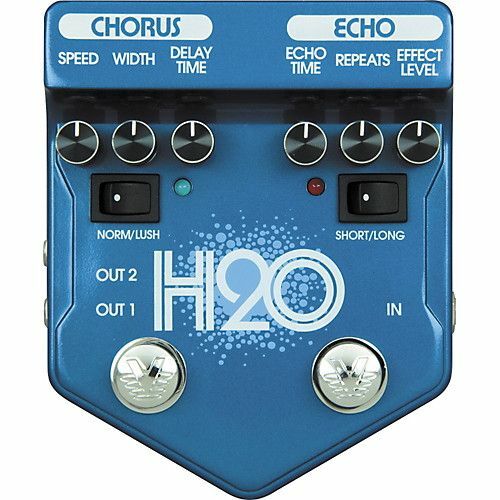 H2O’s Echo channel is a warm, analog voiced echo… completely natural sounding. Add to it a second (non-effected) output jack for stereo amplifier setups and you have the best of all worlds in the H2O. Works great on bass too!